When you want to work with any android device there are always some questions in back of our mind. 3) How fast do they update the devices. However so far we have attempted many times but always failed to identify any consolidated list of such data. Hence we decided that its time we build something. We have created a tracker page which we intent to keep up to date with the help of readers and viewers. 1) Add a comment to this post. 4) Create a new issue in https://github.com/AndroidTamer/KnowledgeBase/ Repository and we will update the details. Note: as this data reveals security posture of devices hence we have made an intentional decision not to credit any individual for specific data. however if you want your name to be credited please specify and we will add the name under credit section on the page. AndroidTamer started out as a VirtualMachine for Android (Security) Professionals, however we are not the only ones doing this bit, there are many more solutions, most of them offered by companies / corporates who have a paid product around it or have atleast a commercial angle. AndroidTamer at this point remains the only fully non-commercial non-sponsored entity in this space. However is that all the differentiator that AndroidTamer is bringing, frankly that’s not enough for us. So we cameup with a plan. Today I am going to discuss the plan. We are slowly making Android Tamer a single point of reference for all Android Professionals. We will be diversifying our offerings but will be also at the same time trying to automate most of the stuff and easy out any pain point that Android Professionals face on regular basis. 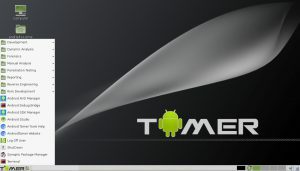 This is the outline of how AndroidTamer will be looking in future. each project will be detailed out in seperate posts in near future. Customized to the core, Debian 8 based virtual machine environment is preloaded with tools for Android Pentesting. This is the heart of our evil-plan, with this repository fully working (right now its apt only) we will have the capability to allow people to directly use tools in their own distribution. and not download the very large vm that we provide. Customized emulator to be used in place of a device in both x86 and arm version which can be coupled with Tamer VM. Q: Why not also focus on other OS ? A: OSX support via homebrew is something We am thinking hard but let’s see how the future rolls out. If you want to use tools on any other Distro, our apt/yum repository is working in that direction. 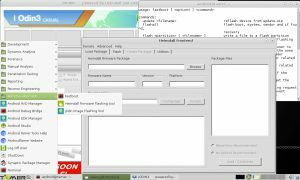 If you want to use tools on windows Appie seems to be the best option available. Q: Why not support iOS, BlackBerry, Windows Phone stuff, make AndroidTamer a mobile tamer ? A: While it all looks fancy and very interesting, fact of life if you want to do everything on iOS you need a Mac, if you want to work properly on Windows Mobile use Windows. There is no escaping that fact. By putting minimal tools and claiming that we support yet another platform is something that doesn’t sit well with us and hence We don’t claim nor support that. For first three releases we experimented with multiple methods and expreiments doesn’t stop this time around also. This time we wanted to see if we can automated most of the stuff that we do. so we looked at existing processes and we identified that best combination for us could be to use a combination of vagrant and ansible playbooks. After delibrating for a couple of day and based on various internet chatter we decided to shift our base to Debian 8 and hence another base box was created with bare minimum’s but this time using debian 8 as base. This box was then used to couple with ansible scripts and the final product is what you see now. With more delibration about the future of AndroidTamer we decided to opensource every single bit of whatever we are doing in AndroidTamer project. If you don’t want to download this whole bloated software package but want to get the software’s inside it. 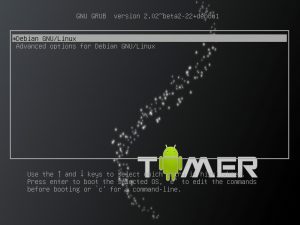 We have a debian 8 compatible repository at https://repo.androidtamer.com. Follow instructions here to configure your system to recieve android tamer tools. 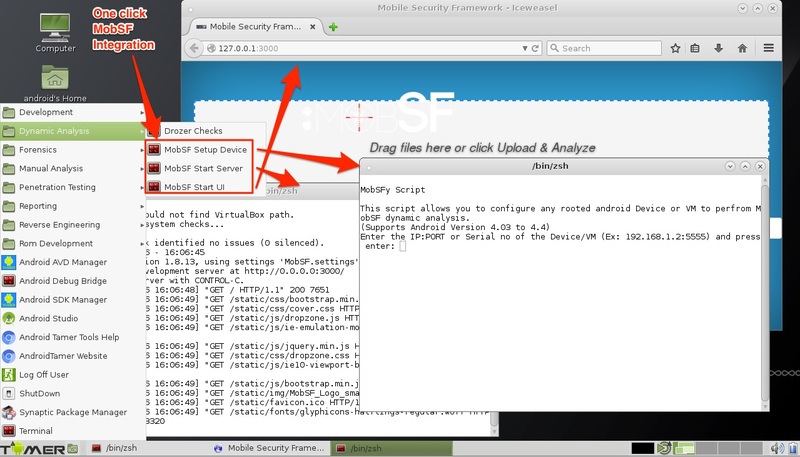 However not everything will be same as AndroidTamer VM. 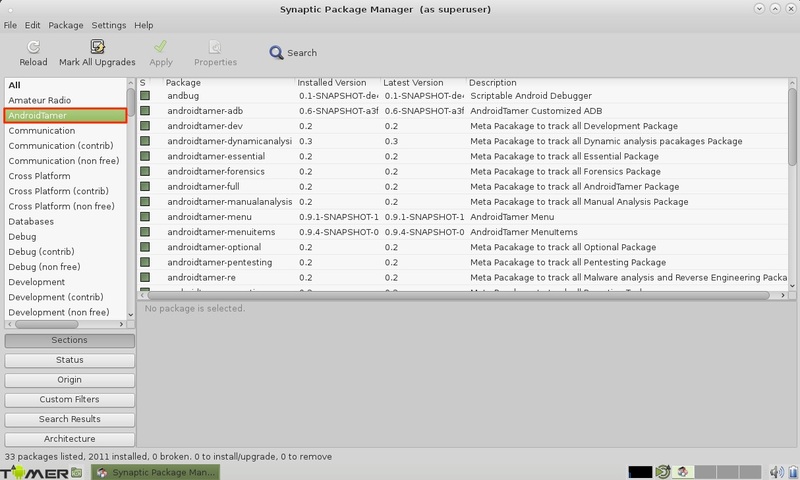 For Example, We don’t yet have packages to automated sdk, ndk and studio installation and addition to path. At this point this part is handled by a Vagrant Script we are working on putting this out as a package which will enable seemless working. However for now you can just install SDK/NDK/Studio manually and add them to path. 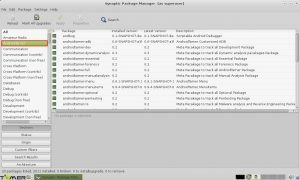 Repositories Compatibility: We have tested the repository on Debian 8 however it should ideally also work on Kali Linux and Ubuntu 14.04 or 16.04. However we have not tested kali or ubuntu. In next few days we will try to do that and update the status here. checksum are as listed below.